Our members share a passion to eliminate cancer as a life-threatening disease for future generations. 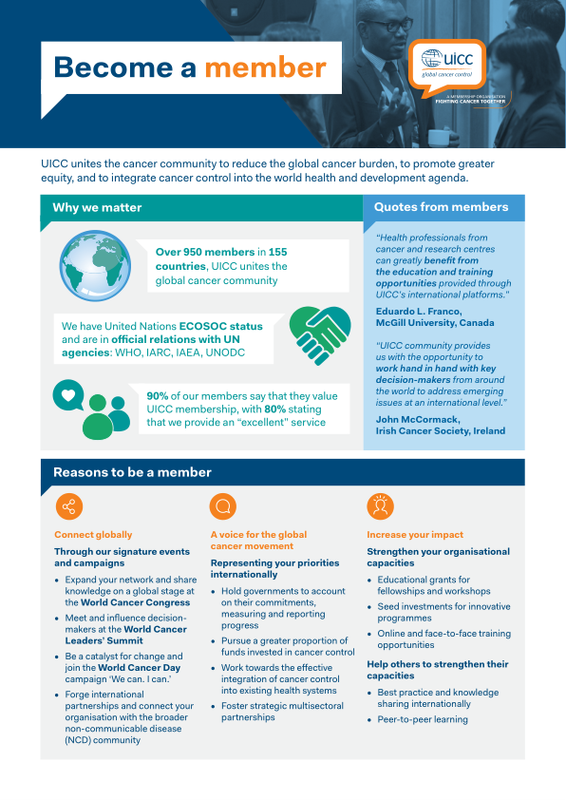 Current UICC membership comprises more than 1,107 member organisations in 170 countries and continues to grow. Our network brings together cancer leagues and societies; research institutes; treatment centres, hospitals, scientific and professional societies; ministries of health, public health agencies; and patient support organisations to shape cancer control on a global scale. Two 'Leadership in Action' meetings recently took place for the Asia Pacific and Middle East and North Africa regions. Newly released report offers look at the achievements of one of the biggest health awareness days. Today, on the occasion of the War on Cancer Middle East organised by The Economist Events team in Dubai, Friends of Cancer Patients UAE (FoCP UAE) and the Union for International Cancer Control (UICC) have signed a partnership agreement in support of UICC’s advocacy initiative ‘Treatment for All’. This initiative calls on the international cancer community to address the global equity gap in access to cancer services to reduce premature deaths. 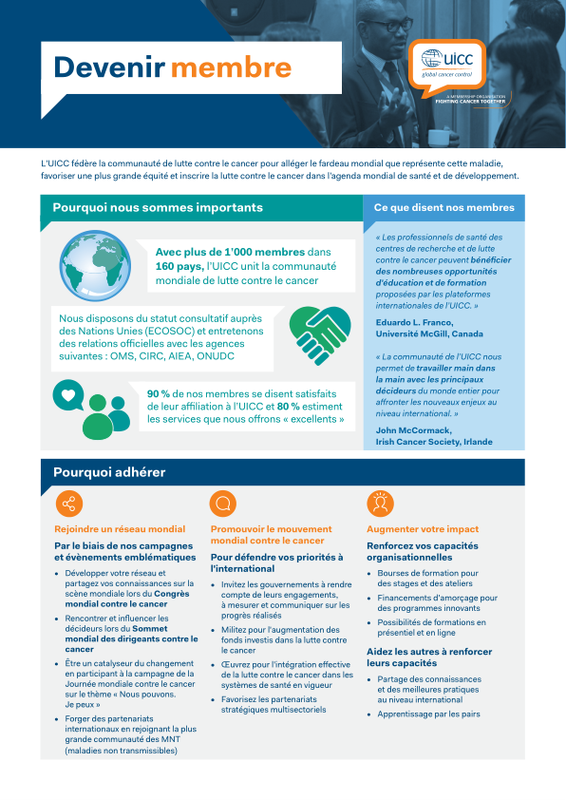 From Fellowships to the CEO programme, UICC Capacity Building's team is excited to announce a number of new opportunities for membership engagement in the coming weeks and months.